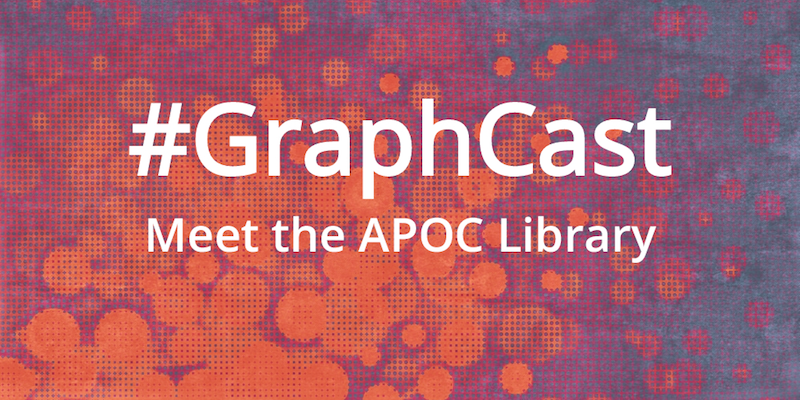 Welcome to this week’s #GraphCast – our new series featuring what you might have missed on the Neo4j YouTube channel. Last week, our Managing Editor, Jocelyn Hoppa, unearthed the Graph Karaoke series (by the intrepid Rik Van Bruggen) from the YouTube archives for your viewing and listening pleasure. This week, I’ve picked the Intro to APOC video series produced by the unstoppable Michael Hunger. Check out the first episode below. If you didn’t know already, the APOC (“ Awesome Procedures on Cypher“) library contains every user-defined procedure and user-defined function that you could possibly think of – all brought together by the Neo4j community. Check out the entire APOC video series for all of the hidden gems of the APOC library you’ve been missing out on. Catch all our videos when you subscribe to the Neo4j YouTube channel, updated weekly with tons of graph tech goods.